The City of Casselberry, in partnership with Waste Pro, provides Casselberry residents the opportunity to properly dispose of construction and demolition material. Please bring all of your construction & demolition material (i.e. steel, glass, brick, concrete, asphalt, roofing material, pipe, wallboard, lumber and large tree stumps) to the specially designated dumpsters at the Public Works Complex. Regular household garbage will not be accepted and should be placed curbside for regularly scheduled collection. 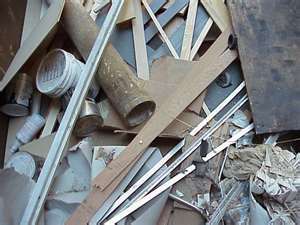 Examples of Hazardous Waste include: anti-freeze, poisons, automobile batteries, pool chemicals, computer monitors, propane tanks, fluorescent light tubes, rechargeable batteries, gasoline and cans (Up to 5 gallons), solvents, glues, televisions, insecticides, thermostats, lawn chemicals, thermometers (Mercury), paints, etc. In conjunction with the quarterly Community Clean-up event, Seminole County will also be hosting its bi-annual Free Waste Tire Collection Events at the Central Transfer Station. This event is offered to residents of Seminole County for FREE disposal of up to five (5) tires. For further details, Please contact Seminole County at (407) 665-2260.